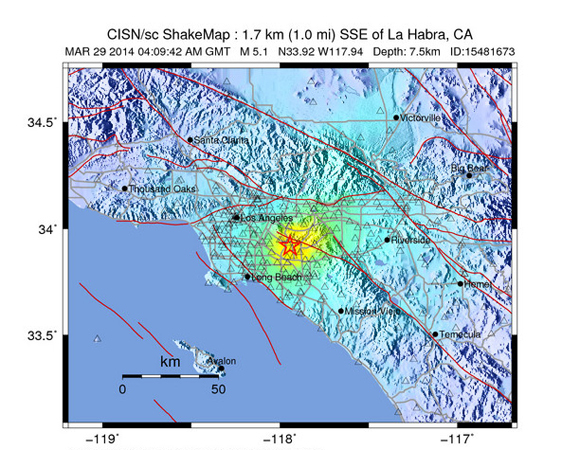 A Mw 5.1 earthquake with its epicenter located 2 km east of La Habra, California, occurred at 9:09 p.m. on March 28, 2014 at a depth of 7.5 km. The event was felt widely throughout Orange, Los Angeles, Ventura, Riverside, and San Bernardino counties. 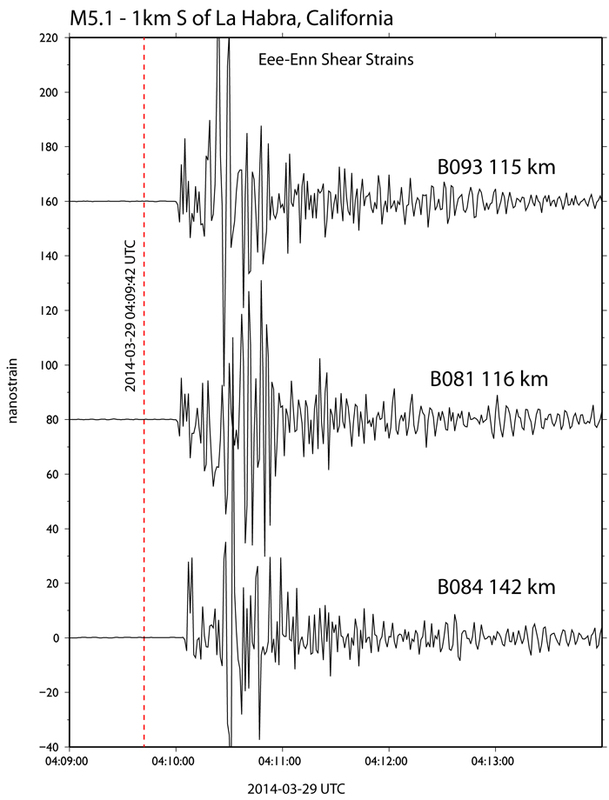 It was preceded by two foreshocks and followed by at least 38 aftershocks. 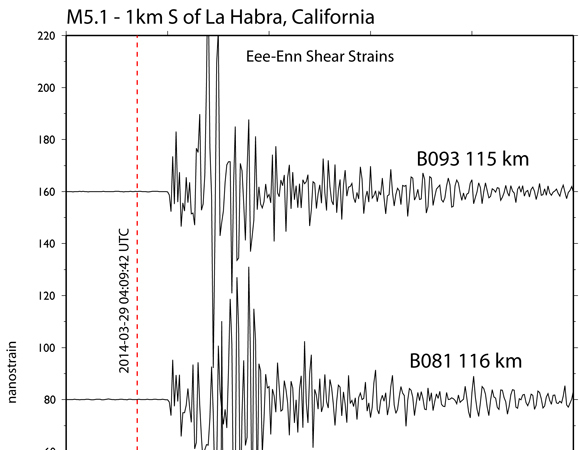 This sequence could be associated with the Puente Hills thrust (PHT), a blind thrust fault that extends from this region to the north and west towards the City of Los Angeles. 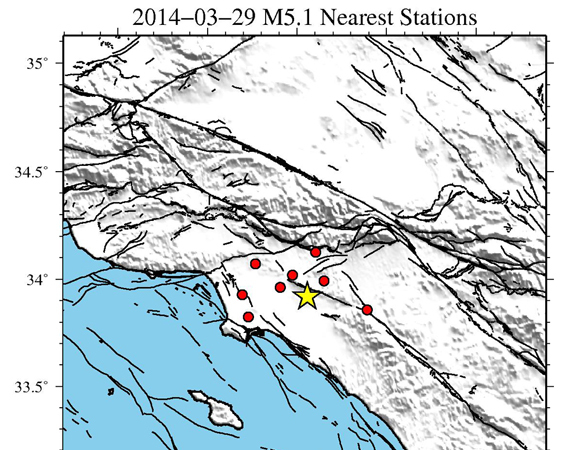 The moment tensor shows oblique faulting, with a north dipping plane that approximately aligns with the Puente Hills thrust. 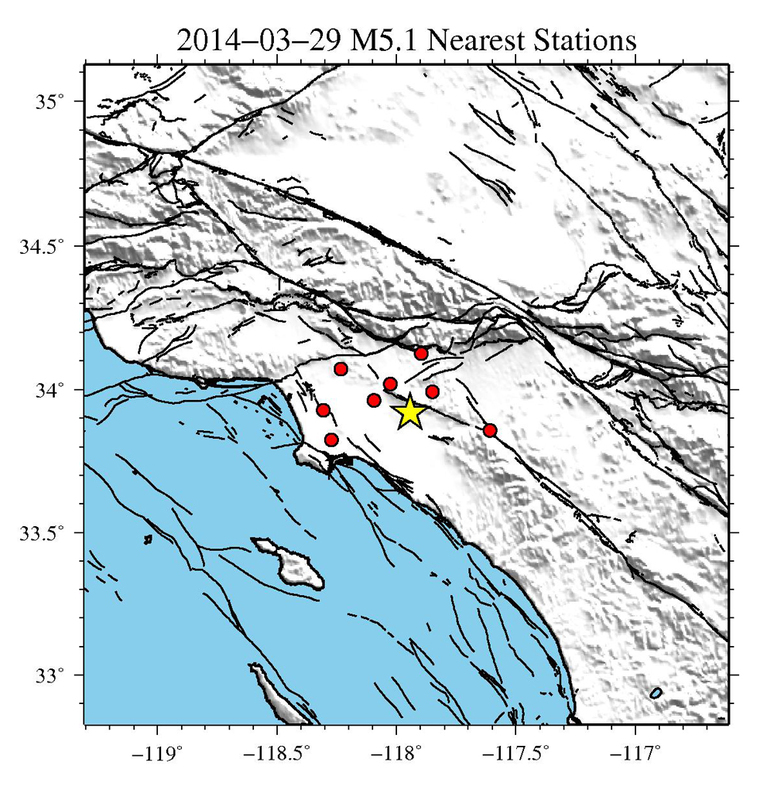 The demonstration earthquake early warning system provided a 4-second warning in Pasadena. 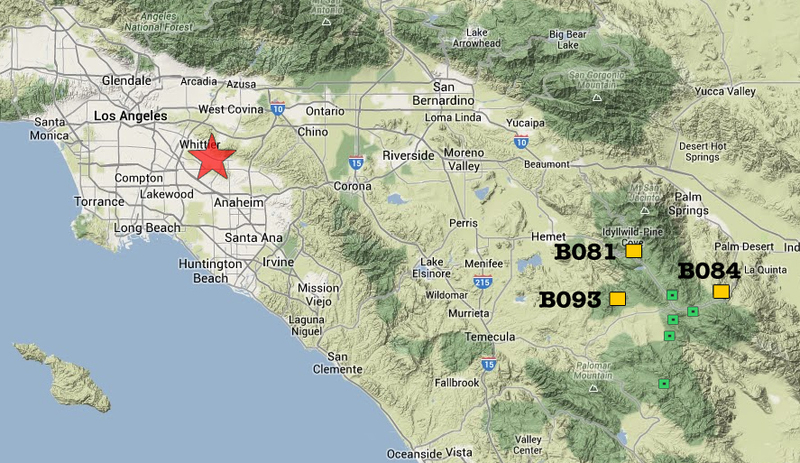 In response to the 2014-03-29 Mw 5.1 La Habra, California earthquake, UNAVCO is currently downloading high rate GPS data from a total of 10 PBO/NUCLEUS stations located near the epicenter (Figure 1). One-sample-per-second (1-sps) GPS data are being collected for a 6-day period (± 3 days) around the event. Five-sample-per-second (5-sps) GPS data are being collected for a 12-hour period (± 6 hours) around the event. These data will be available from the UNAVCO ftp site.